Not a disco Dyson heater, not even a full size replica of a Tron identity disc, this is the new C by GE smart table lamp. It's a looker alright but the most futuristic part is what you can't see: Amazon Alexa. 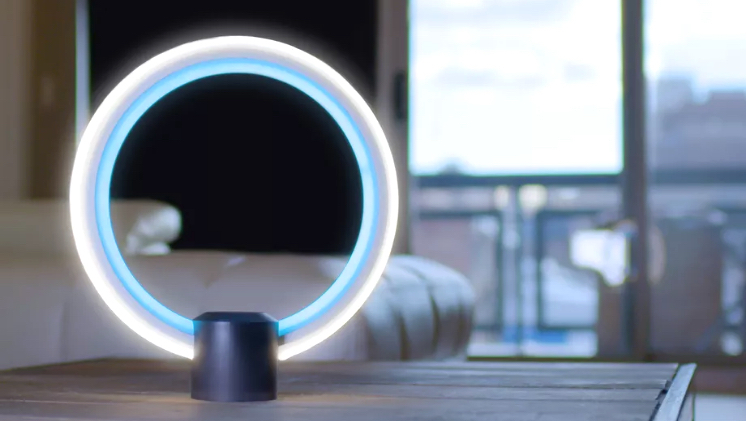 This circular LED lamp functions like an Amazon Echo. So it has an always-on microphone for voice commands to access the internet and control itself and other smart home gadgets. There's a speaker so Alexa can respond though the early word is that you wouldn't want to use it as you know, an actual speaker for music. The press pics are close to the final product and as far as we know, there is just this one, very attention seeking design on offer. It can also be controlled via the GE Lighting app, as can the companion GE smart bulbs. The C by GE lamp will go up for pre-order early next year then will go on sale in the second quarter for an as yet unspecified price. All we know is that it will cost less than the Amazon Echo. It's not the first time the two companies have worked together. In September, GE announced an Alexa skill to control GE appliances like fridges, ovens, dishwashers and washing machines. Air conditioner support is said to be coming soon too. Amazon's voice assistant is fast becoming the go-to for both smart home manufacturers and independent wearable tech companies. Let's see what Apple and Google do next.